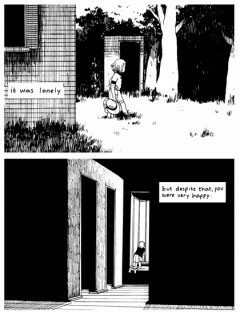 Tillie Walden's relationship with Avery Hill reminds me a bit of Michael DeForge's relationship with Koyama Press. 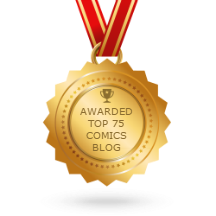 In both cases, a fledgling publisher gave a young, talented cartoonist a chance, and the result was both flourishing. Walden, a recent grad of the Center for Cartoon Studies, is the sort of rare talent (like DeForge, Dash Shaw, Sam Alden, Luke Pearson, Sophie Goldstein and a few others) who have a relentless work ethic, considerable ability and a lot to say at a very young age. Walden is a solid draughtsman at this stage of her career, even if her line is a touch on the ragged side. What sets her apart is her dynamic cartooning skill and understanding of composition, combined with her thoughtful stories that give the reader a great deal of space for interpretation without being deliberately opaque. 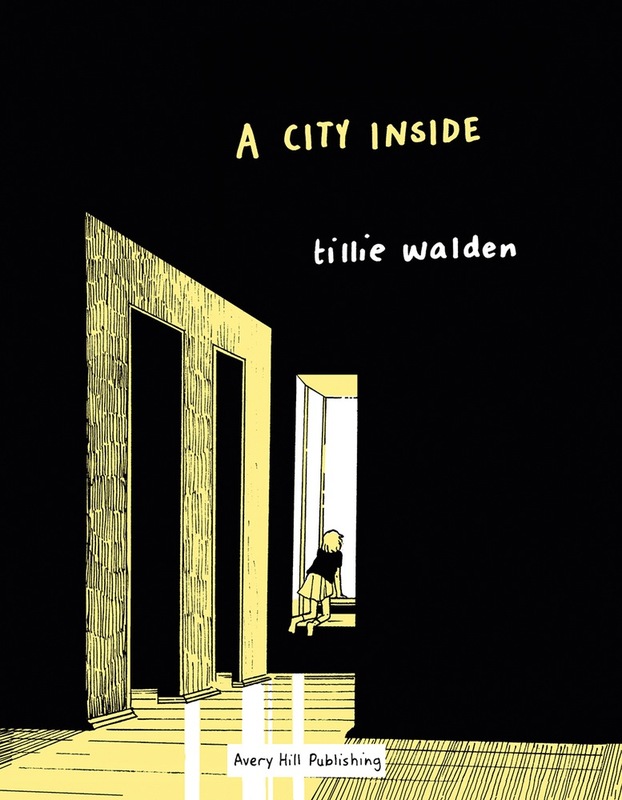 In A City Inside, Walden explores physical spaces as they relate to identity once again. The metaphor of houses and apartments as parts of one's memories and personality is a clever one, framed by the device of the unnamed protagonist (presumably Walden) narrating her own story in a therapeutic, meditative environment. What's interesting is that the narrative is in second person, as though she was telling her story to herself. Moving from an old house that she lived in with her father to a house in the sky, she only comes down when she meets the love of her life, literally grounding her. There's a page that's a painfully beautiful expression of love, as we see her lover at a dinner table, simply chewing on a piece of bread. It's beautiful because of its mundane nature, as the narrator silently drinks in the beautiful moment captured in time. At the same time, she walks away from it because her lover is the only thing keeping her there, which feels wrong. When she notes that all the years of loneliness, of connection, of memories, and of emptiness finally crack open, they form a new city--a new identity--for her to inhabit, a stable identity where she's the queen of her own domain. Then, and only then, can she accept her past and allow it to become a fully integrated part of her present and her future. Walden fills the drawings of buildings, forests and stairways (a Walden specialty, as they represent another path leading to an unseen destination) with as much charged emotion and gesture as she does her figure drawings, because in the course of this narrative, they all have the same function. When she walks out of the session and we see her partner, it seems clear that this therapy was at least in part a way for her to address her own fragmentation and make peace with those around her. It's all done subtly, compassionately and with great restraint, allowing the reader to soak up the power of her imagery and narrative without being bludgeoned by it. In the end, Walden tells a story of how to balance our need for individual space with our need for connection.